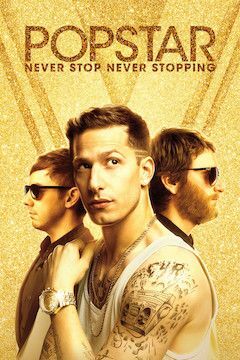 Conner4Real (Samberg) is an international pop star who lives a life of extreme luxury. He surrounds himself with people that agree with him, including his DJ (Taccone) and his publicist (Silverman). However, when his new album fails to sell, Connor goes into a tailspin as his celebrity high life is threatened. He does everything he can to bounce back, ultimately reuniting with his old rap group, The Style Boyz, in a desperate attempt at reclaiming his superstar status.